Harrisburg, PA – Following several incidents involving racism and religious intolerance at Pennsylvania schools, the Wolf Administration developed a response plan that includes outreach from the Pennsylvania Department of Education (PDE) Safe Schools office and the Pennsylvania Human Relations Commission (PHRC). 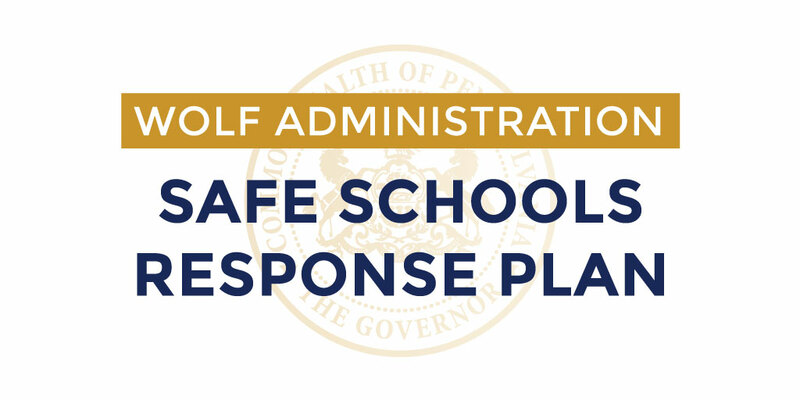 When an incident occurs, the Wolf Administration has directed school districts and officials to contact the Office of Safe Schools, who can send counselors to the schools and work with the PHRC to determine if additional resources are needed. Pennsylvania State Police will continue to monitor threats and take action as appropriate in support of victims and other law enforcement agencies. The PHRC’s goal is to ensure students have the right to equity in schools and an education free from illegal discrimination. The PHRC will continue to partner with the PDE to address any incidents that may occur throughout the state and provide assistance when appropriate. Under the leadership of Secretary of Education Pedro Rivera, representatives from the Office of Elementary and Secondary Education, Mid-Atlantic Equity Center, Intermediate Units, Pennsylvania Training and Technical Assistance Network (PaTTAN), the Pennsylvania Human Relations Commission, and law enforcement officials met to develop quick response and guidance plans to assist school districts and charter schools to address negative behaviors in Pennsylvania schools. Yesterday, PDE sent a message to all superintendents in the state urging them to join in these efforts, including strategies that effectively prevent and address harassment, intimidation, violence, and discrimination on the basis of race, color, religion, ancestry, gender, sexual orientation, gender expression or identity, national origin, or disability. PDE will also be engaging with non-profits and the Governor’s Commissions to solicit their collective feedback and advice on additional steps the might be taken to prevent and respond to these incidents. Additionally, PDE’s Office of Commonwealth Libraries has released and forwarded a booklist created to share a message of unity, acting with kindness toward others, and promoting peace. Suggestions can be found here. The PHRC is the state agency tasked with upholding anti-discrimination laws and reducing racial tensions in the commonwealth. Anyone seeking help after an incident of intolerance is encouraged to contact PHRC. The Office for Safe Schools coordinates school safety and security programs, collection of the annual school violence statistics, coordination of antiviolence efforts, and development of policies and strategies to combat school violence. The office supports and provides technical assistance and professional development programs in the following areas and security-related activities to support school safety: crisis intervention, school police training, violence prevention, and social/emotional wellness and safety provides services to all local school entities. The Office for Safe Schools’ Bullying Prevention Consultation Line is a toll free number that will allow individuals experiencing chronic and unresolved bullying to discuss effective strategies and available resources to deal with school-based bullying. This supportive resource has been developed in collaboration with the Center for Health Promotion and Disease Prevention (CHPDP), and is available, at no cost, to students, parents/guardians and school districts across the state of Pennsylvania. Messages can be left 24 hour a day, seven days a week, and will be returned Monday-Friday during normal business hours. The Consultation Line number is 1-866-716-0424.